One of several side-projects to emerge from the Wolvserpent camp, Aelter is the solo effort of Wolvserpent guitarist Blake Green. With Aelter, Blake explores a similar realm of dark majestic sound to Wolvserpent, with his massive downtuned guitar roar and bleak minor key melodies being the common thread between the two projects. But where Wolvserpent blends this chugging Melvins-esque heaviness and haunting slowcore arpeggios with violins, pounding drums, and a propensity for extended hypno-dirges, Aelter dispenses with the drums almost completely and goes for a more cinematic approach using layered keyboards and gorgeous harmonized voices that reminds me of something you would have heard on Beggers Banquet or 4AD being fused to a malevolent black heaviness. 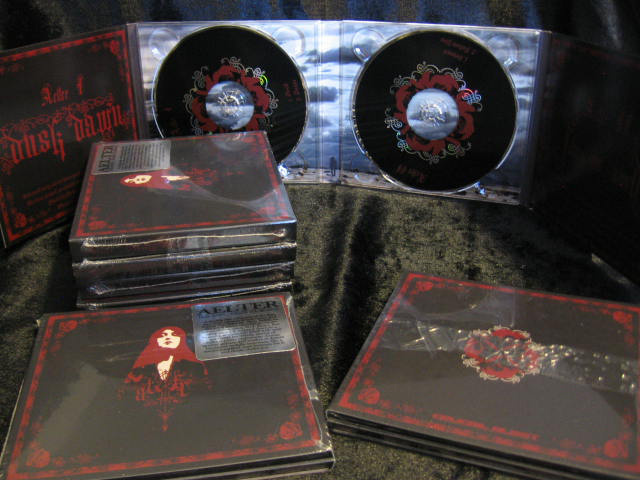 Both of the Aelter albums were only released on vinyl in limited editions of a few hundred copies and are close to going out of print completely, but we have now gathered both Dusk Dawn and Follow You Beloved together in a double disc set. The first Aelter record Dusk Dawn from 2009 from is now out of print on vinyl and featured two side-long tracks. The first half "Dusk" begins much like something you would hear from Wolvserpent, an eerie guitar figure slowly plucked over heavy, rumbling doom metal chords, the dark menacing sound slowly unfolding in a manner similar to newer Earth but with a much more sinister vibe. But then this gloomy dirge starts to transform into something that is not so much like Wolvserpent as lush gauzy synthesizers wash in alongside ethereal choral voices, the sound drifting and uncoiling without the propulsion of drums or any other percussion, just a cloudy black fog of doom-laden darkwave underscored with those heavy rumbling guitars. This sound is utterly gorgeous, like some strange mixture of Earth's bleak ambient heaviness and the dark ethereal downer pop of Clan Of Xymox or some similar darkwave outfit. The second track travels deeper into this lush shadowy ambiance, the guitars dropping out for long stretches of time as gorgeous high-end drones and shimmering dream-pop keyboards. The vocals begin to appear way off in the distance, slowly fading inwards as the guitars again materialize with chugging downtuned crunch and somber minor key melodies unwinding overhead. And when the vocals build into a majestic multi-part harmony, this becomes incredibly beautiful, like some drifting dreampop epic descending into darkness, finally combining with a minimal piano melody at the end. 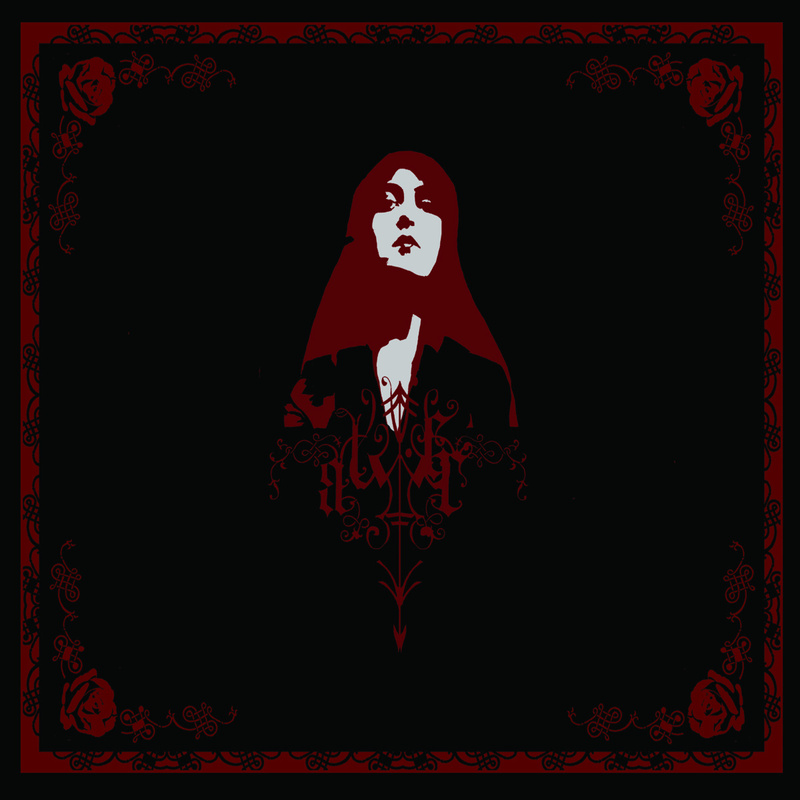 The second Aelter album Follow You Beloved (released on vinyl in 2011) grows even darker, much of the prettiness from the first album leeched out by the swelling blackness, but still rife with moments of fragile beauty. The drums are also more prominent here, making this the heavier of the two albums by far. The first side is "Beloved", which begins with a solemn organ line joined by equally funereal piano notes awash in lunar glow. It transforms into a desolate guitar instrumental, reverby guitar twang unfolding around delicate acoustic picking and washes of ethereal synth that almost has a Badalamenti tint to it; then the drums come in, heavy and plodding, just as the airy fragile layered vocals materialize and the sound appears as some kind of shadow-cast, doom laden slowcore. It's really gorgeous stuff, moving through passages where everything drops out and just a single electric guitar chimes in the darkness, a simple minor key figure repeated over and over, and spacey orchestral synths gradually drift in as a steady sinister bass pulse echoes through the darkness. Like the earlier work, this makes me think of drone metallers Earth crossed with swirling darkwave pop, heavy and ominous but shot through with gorgeous moody melody. The song finally returns to the dark lumbering heaviness as everything drops back in, sheets of delayed guitar and what sounds like a mandolin swirling around the treacly drums and that central melody that threads throughout the song, turning even heavier and blacker as massive distorted doom riffage slowly pours in and the music slows down, changing into a blackly majestic Western-tinged doom in it's last few minutes. On the other side, "Follow You" takes us once more into eerie Badalamenti-like haze of sorrowful reverb guitar and haunting droning keys joined by deep bass notes and cello-like sounds, and then suddenly drops into doomed crush, slow ponderous drums and crushing glacial guitars continuing the main melody, distant ethereal vocals layered in eerie harmony behind the grim doom-laden heaviness, eventually flowing out into a mass of choral darkness later in the song when the music drops out and the vocals come to the fore. Later, it transforms back into the heavy droning funeral procession from before, the riff repeating over and over again, a droning, swirling processional dirge adorned with droning keyboards.